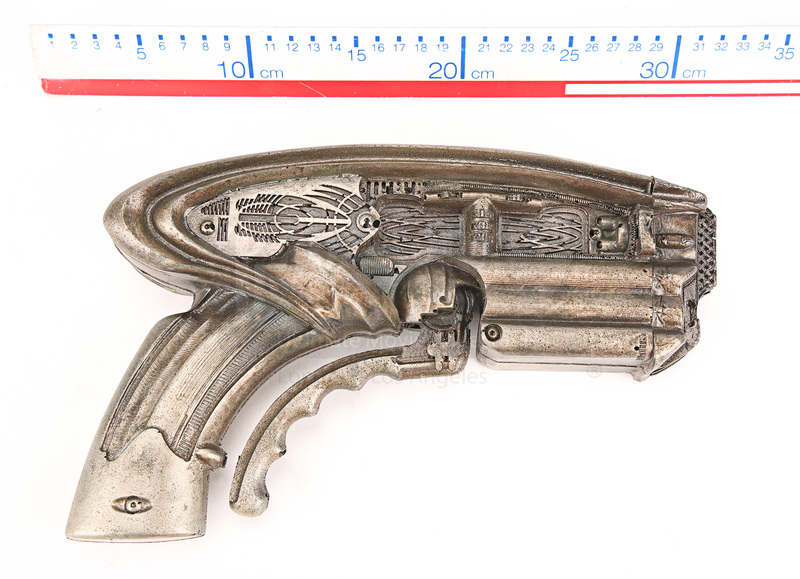 A stunt Necromonger pistol used in the production of David Twohy’s 2004 action thriller The Chronicles of Riddick. Galactic criminal Riddick (Vin Diesel) is on the run, with bounty hunters on his tail. He receives guidance from Aereon (Judi Dench), ambassador from the Elemental race, who informs him that a warrior army known as the Necromongers is annihilating all human life in the galaxy in a bid for universal dominance. 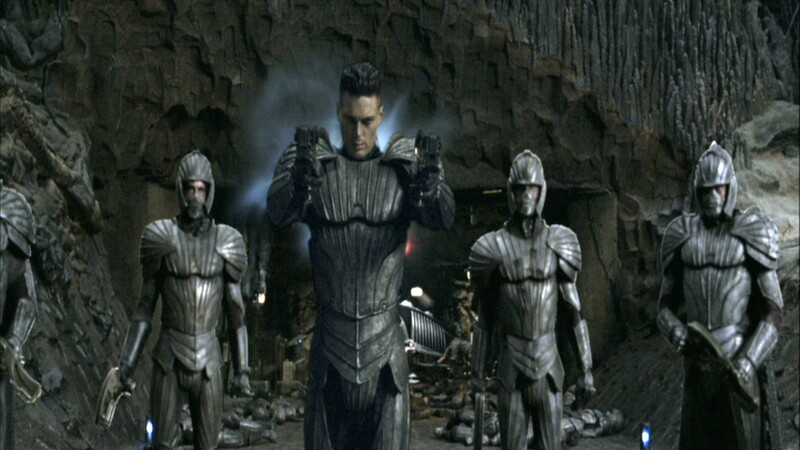 The wise Aereon urges Riddick into battle, believing he is the one man who can defeat the Necromongers and their leader, the evil Lord Marshal (Colm Feore). 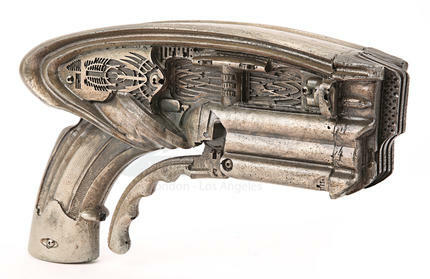 The Necromongers can be seen using this gun and others like it, throughout the movie as they continue their galactic crusade against the 'breeders'. This particular weapon is made of hardened rubber and highly detailed with a range of Necromonger designs down the sides. It is painted in a tarnished steel and bronze finish, giving the weapon a well-used look in line with the style of the Necromonger army. 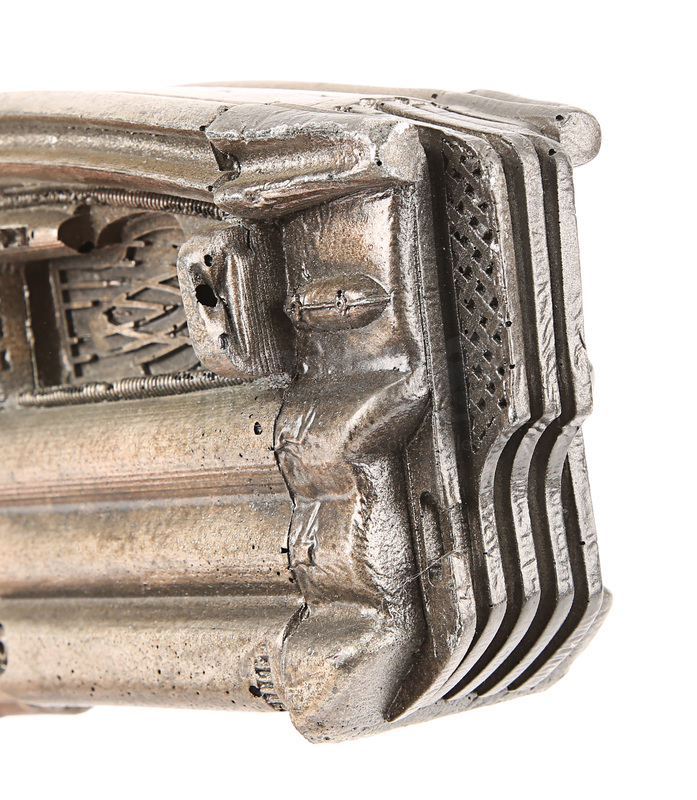 This item exhibits some signs of wear from use on-set and time spent in storage, but it remains in an otherwise very good condition.